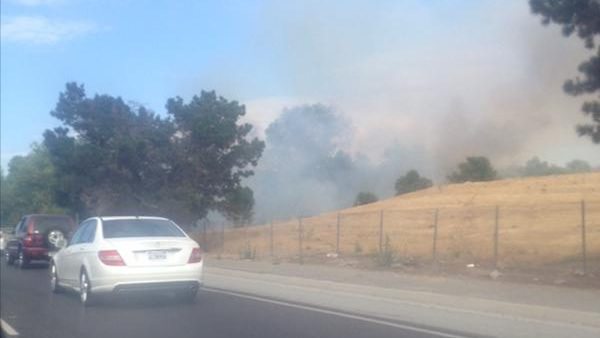 SAN JOSE, Calif. -- Crews are battling a one-alarm brush fire in San Jose Friday evening, a fire dispatcher said. Fire crews responded at 4:45 p.m. to a report of a fire at Tuers Road and East Capitol Expressway, the dispatcher said. The intersection abuts the Coyote Creek Trail and the Los Lagos Golf Course. As of around 5:10 p.m., the dispatcher said no injuries had been reported.